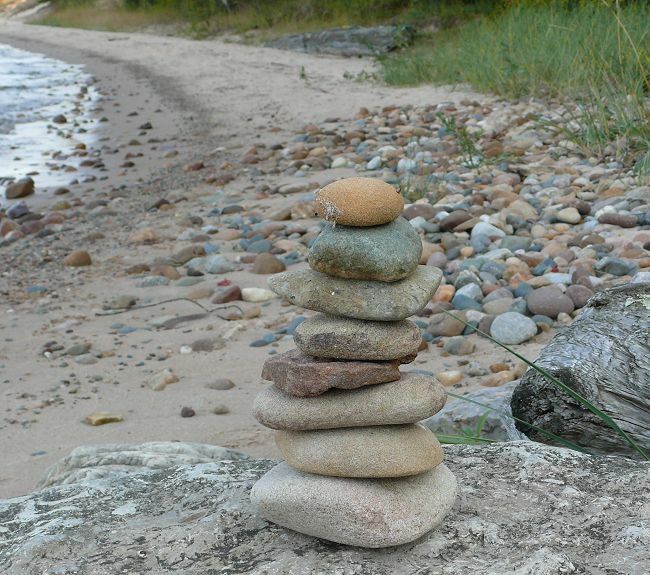 Our friend Martha was a geology major in college, and she loves rocks. 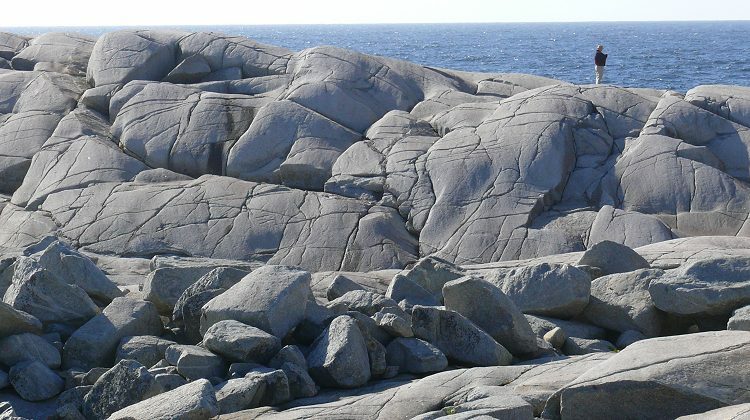 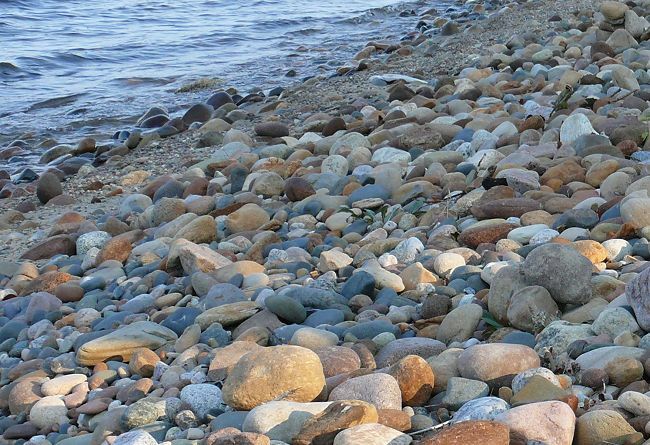 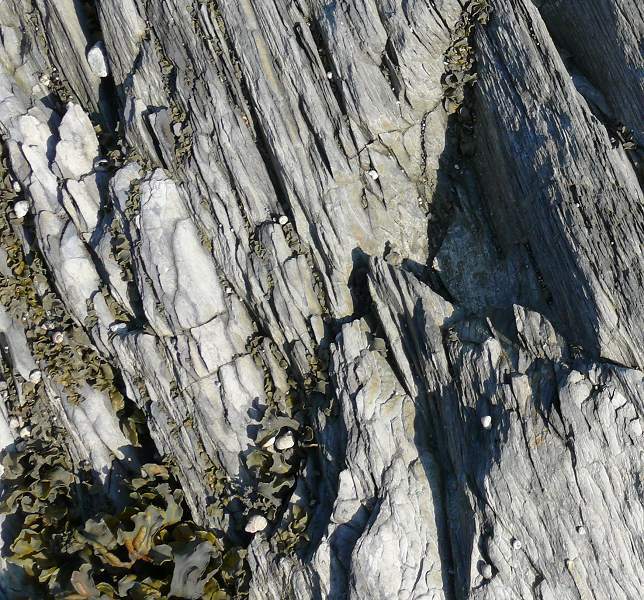 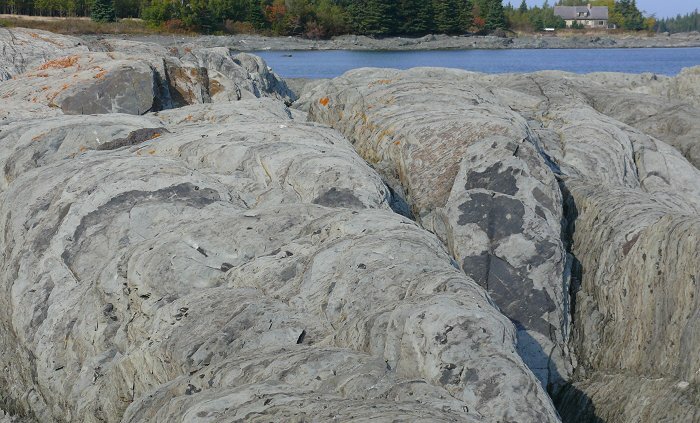 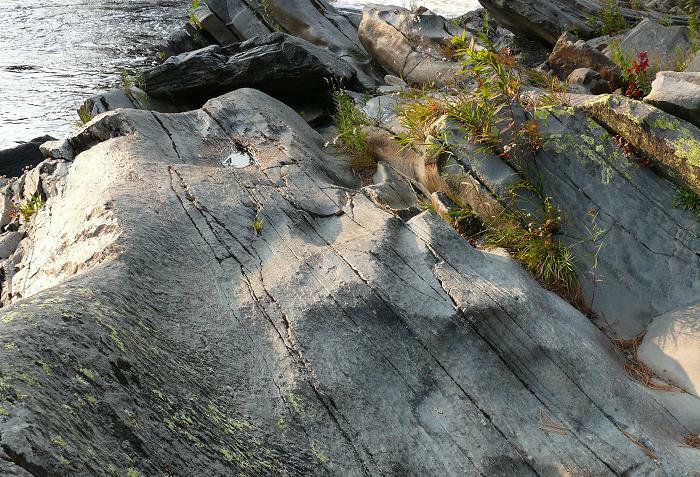 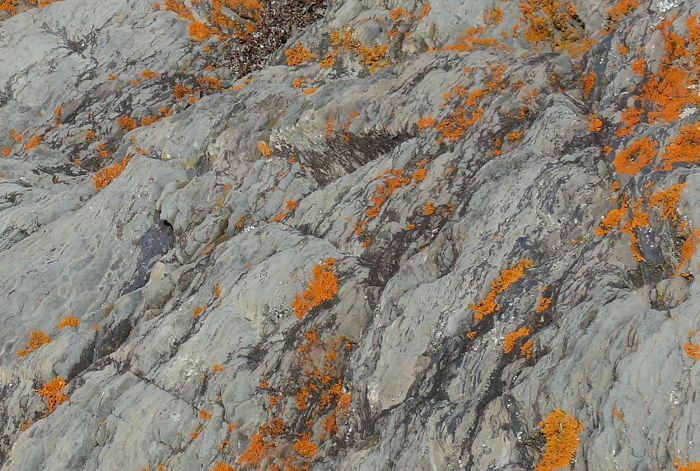 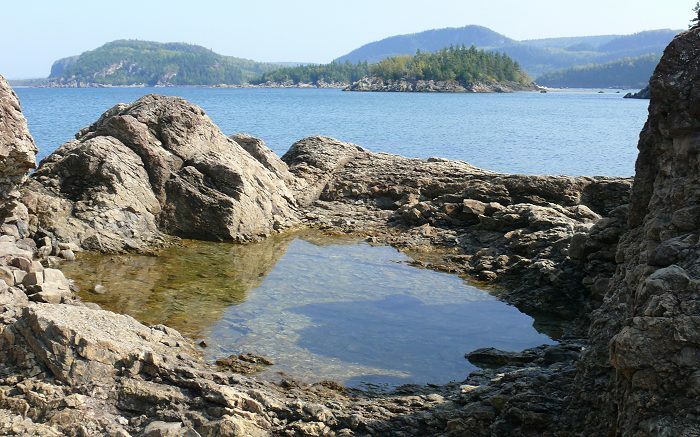 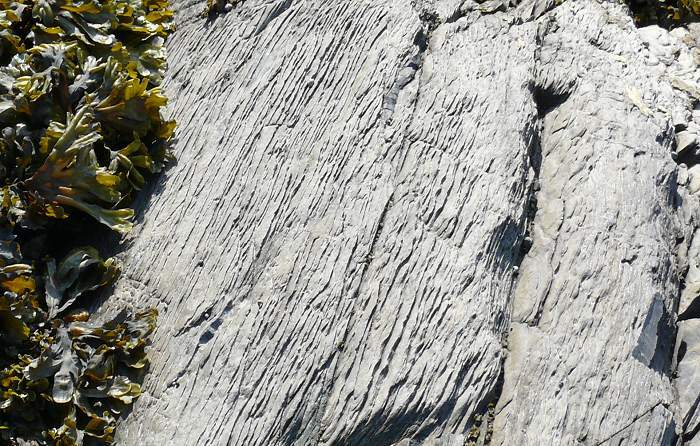 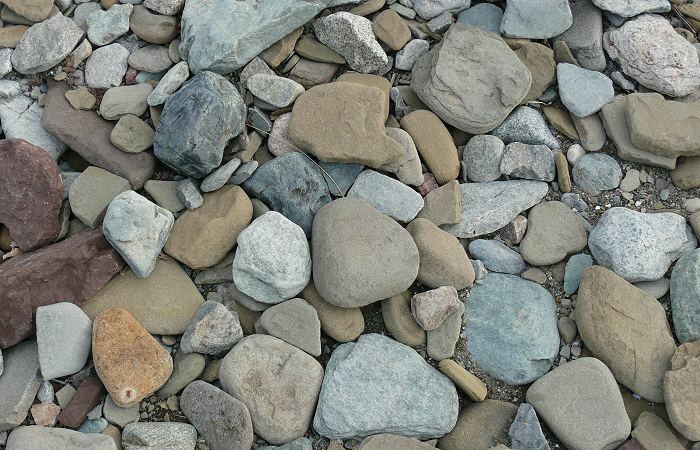 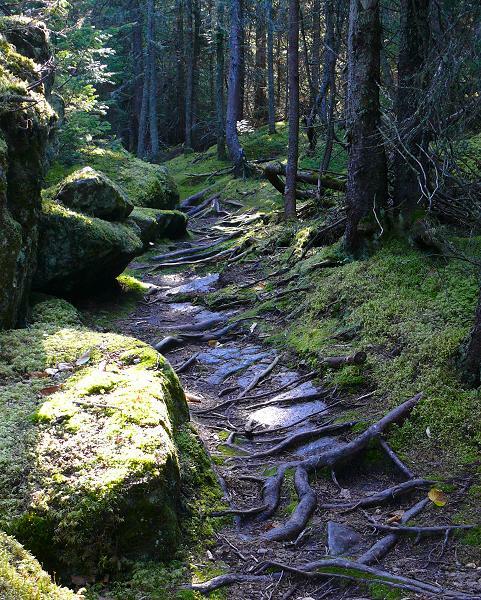 So this post is for her – all sorts of cool rocks from Michigan to Nova Scotia. 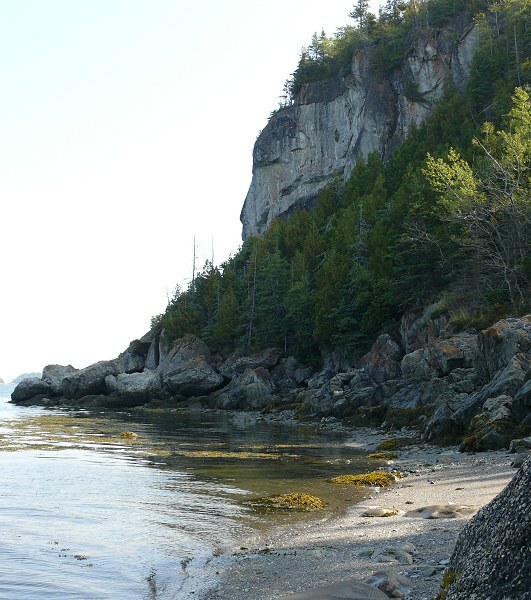 The Upper Peninsula of Michigan, along the shore of Lake Superior. 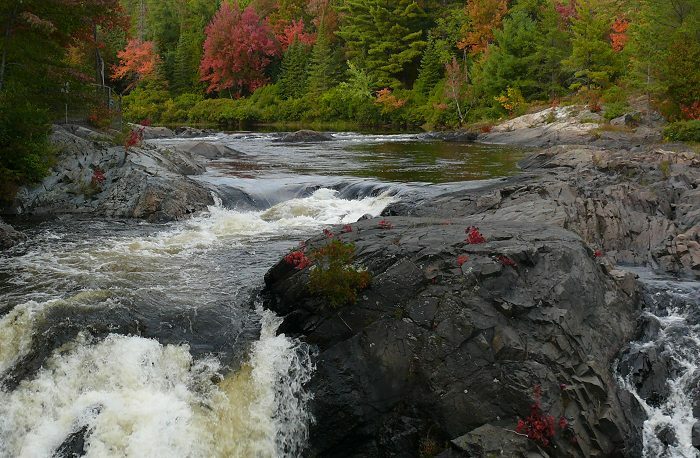 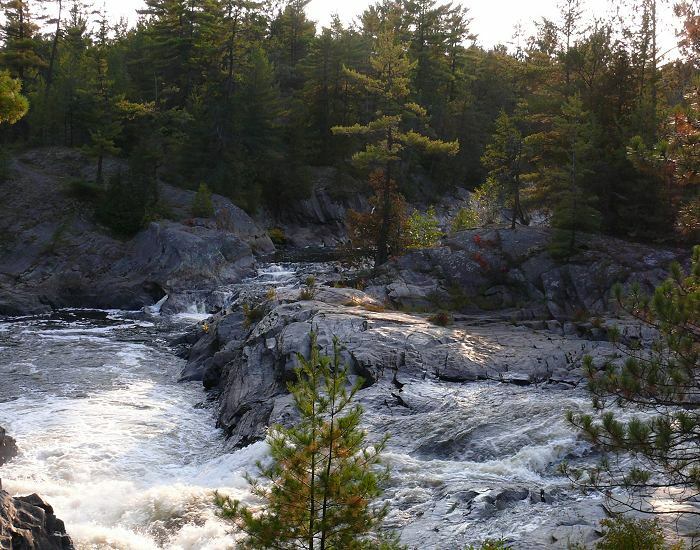 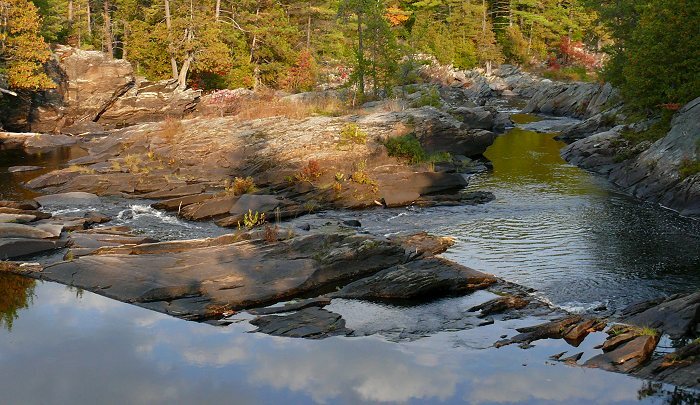 Chutes – a Provincial Park in Ontario. 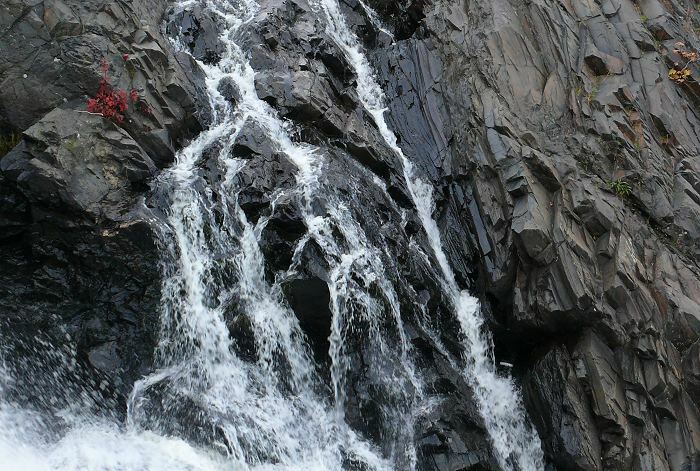 Chute means waterfall in French. 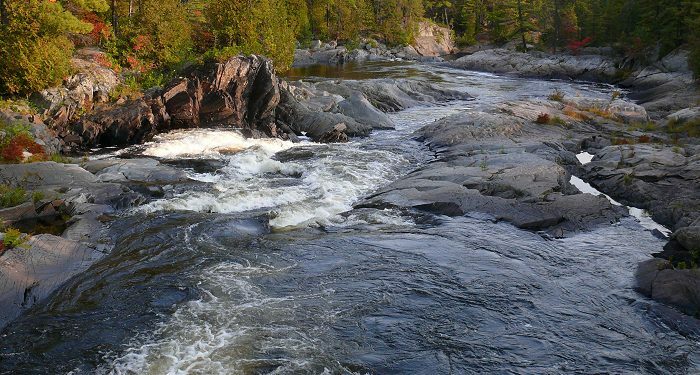 There are two rivers in this park, both with waterfalls, that come together in a great rush of falls and rocks and rapids. 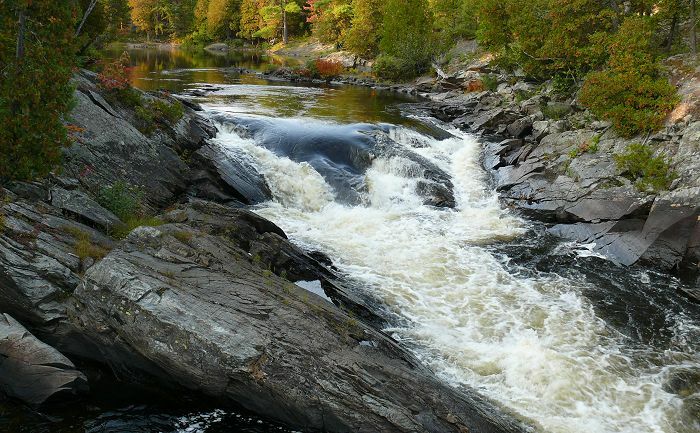 The two rivers – one on the left, and one on the right. 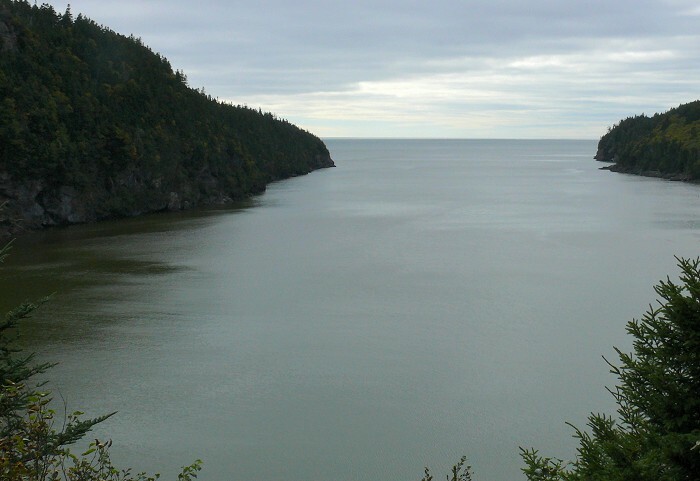 Bic is along the St. Lawrence River, on the Gaspe Peninsula. 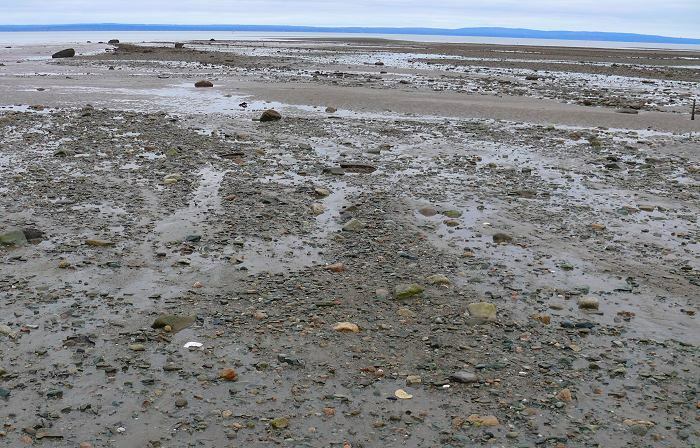 The tides here are not nearly as high as in the Bay of Fundy, but there are still acres of beach to explore when the tide is out. 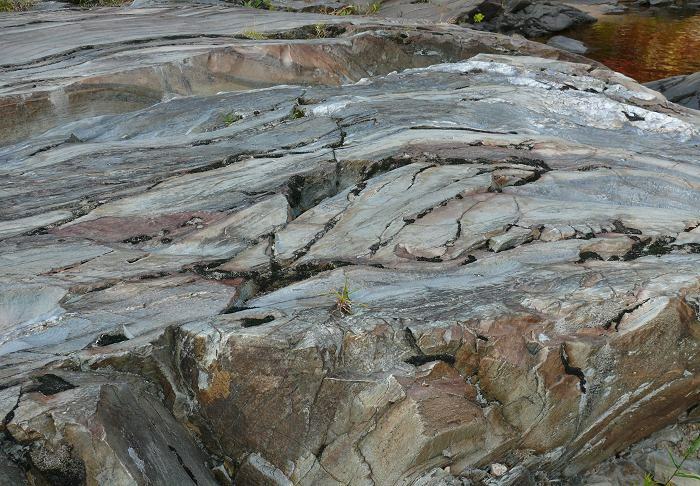 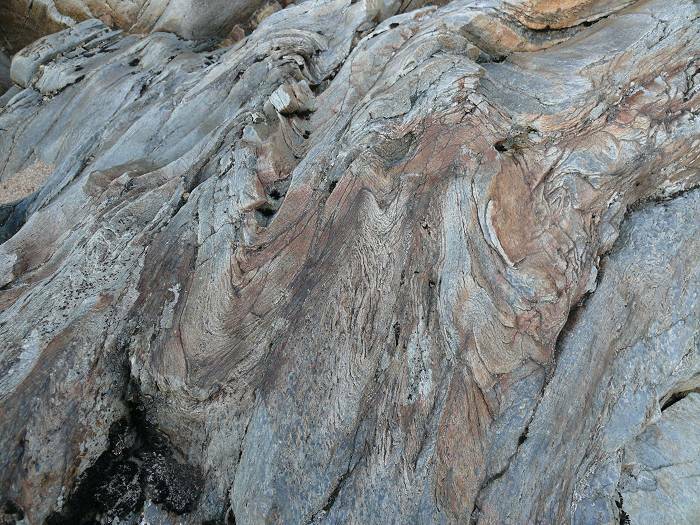 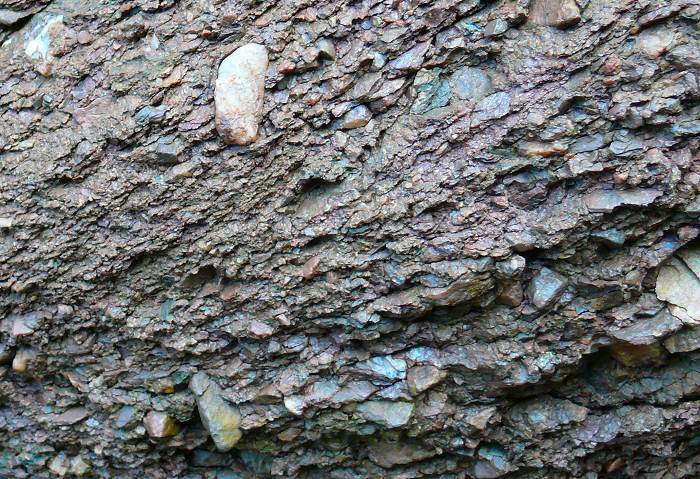 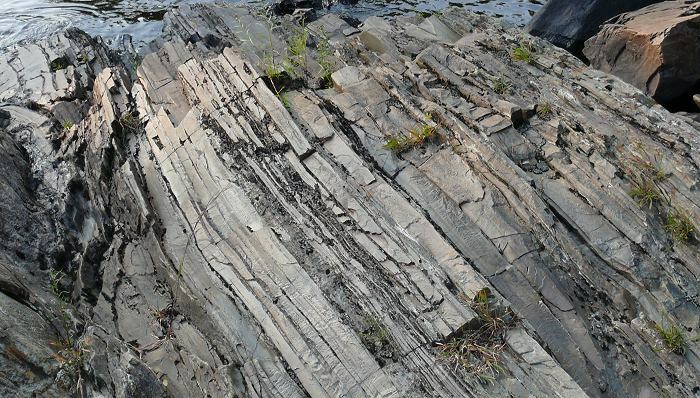 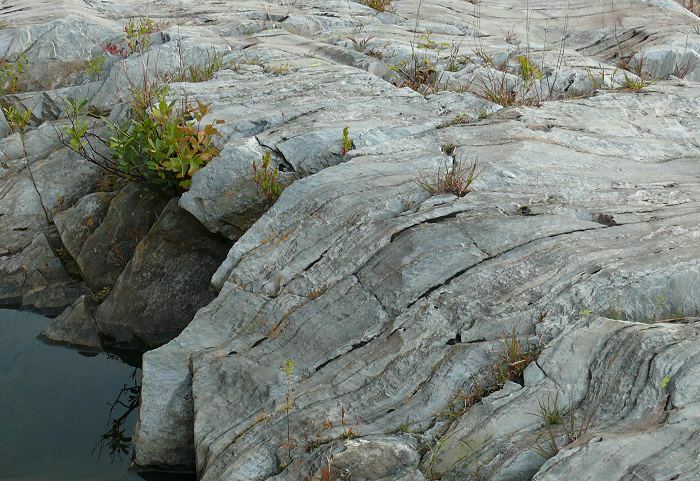 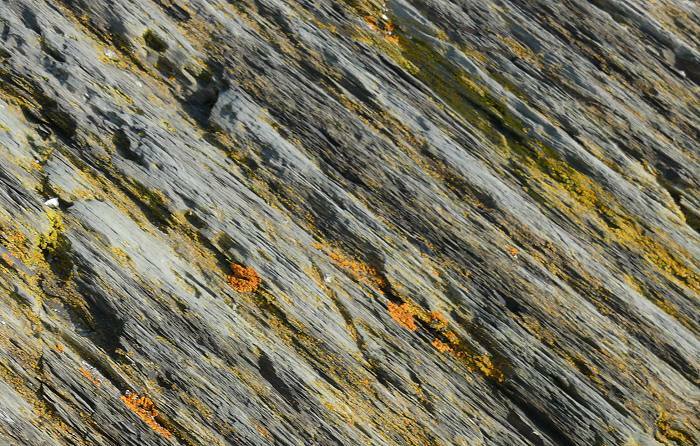 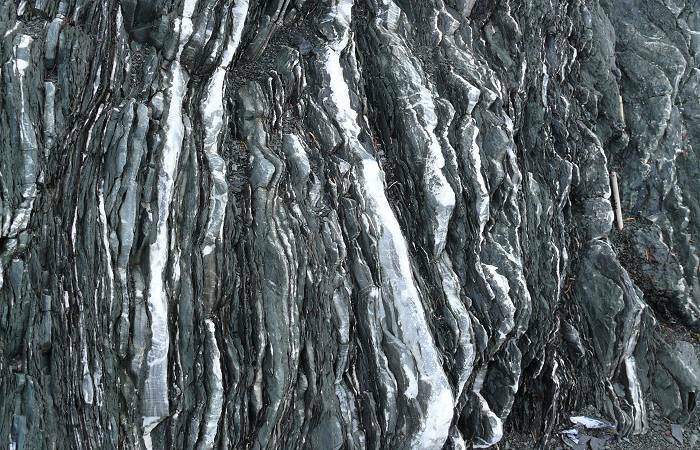 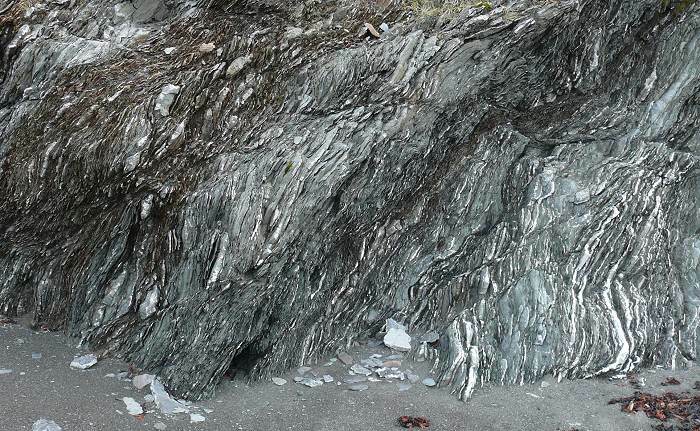 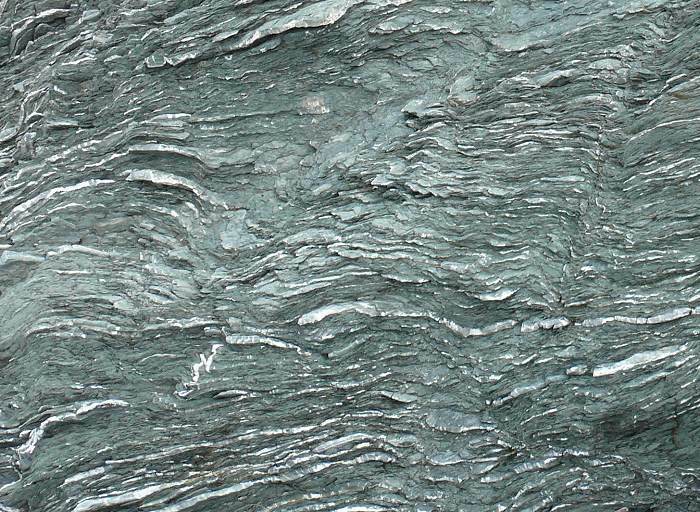 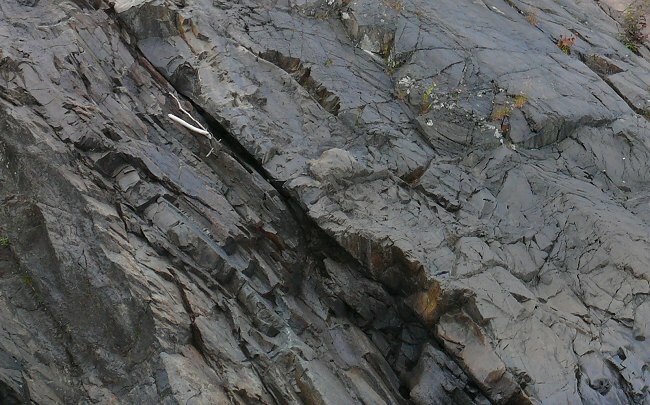 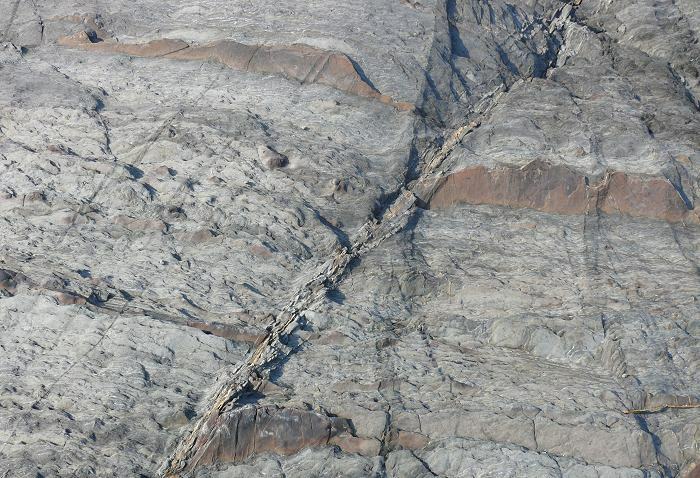 These rock layers are so thin that they’re like paper – I could break them easily with my fingers. 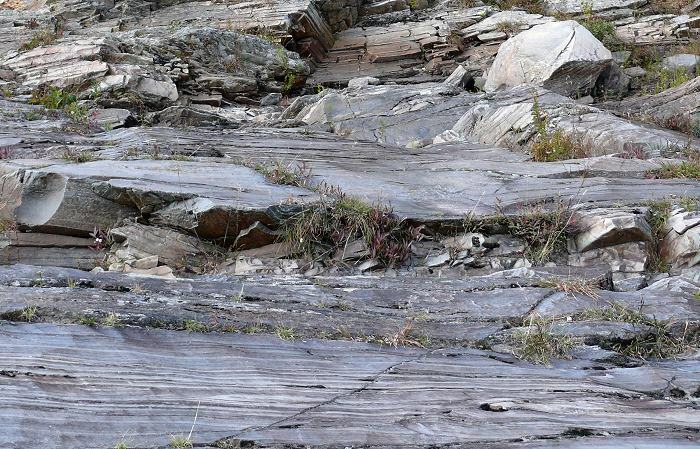 Rocks with steps. 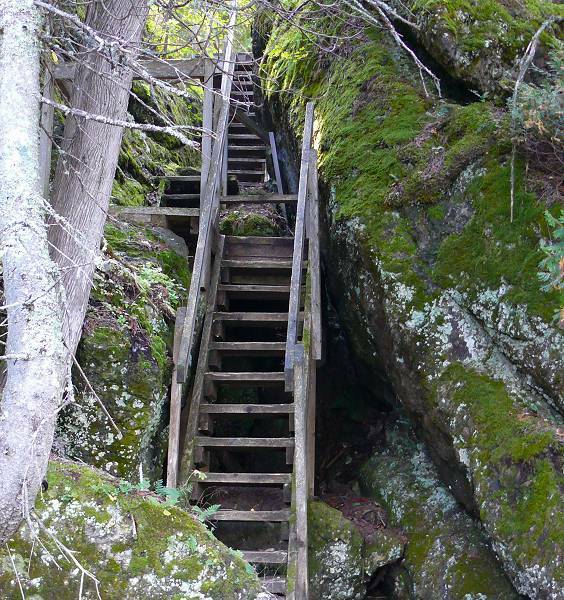 These steps are so steep that they’re almost ladders. 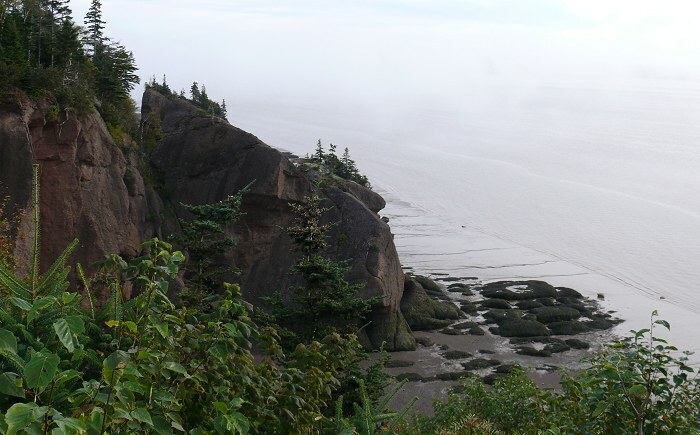 Alma, New Brunswick is a fishing village on the Bay of Fundy, right next to Fundy National Park. 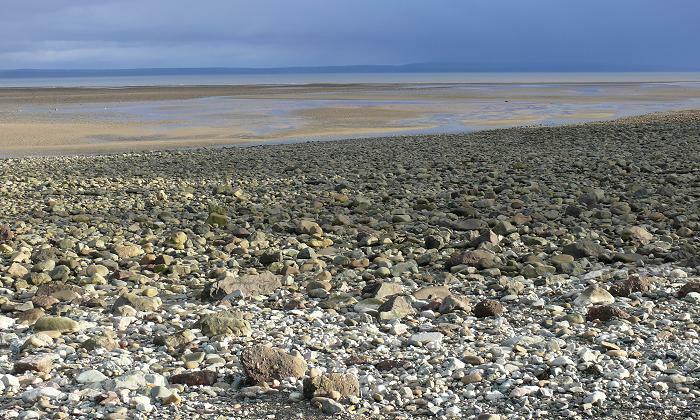 It has one of the highest tides in the world – about 40 vertical feet. 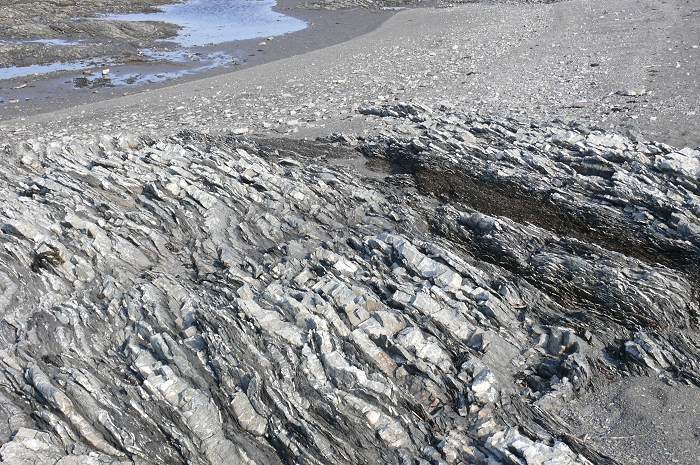 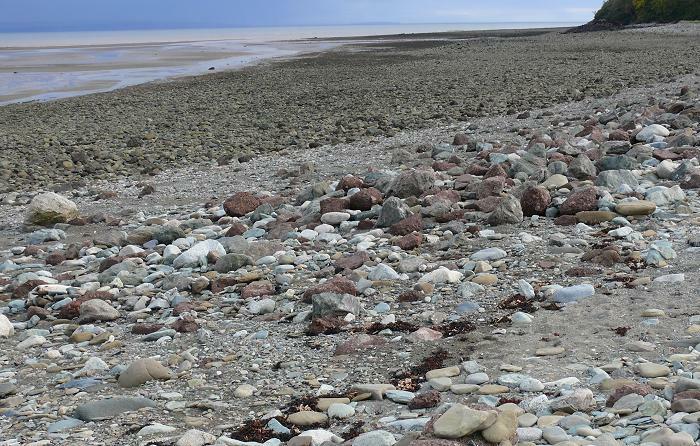 This is the beach at Alma – with the tide out so you can see all the rocks. 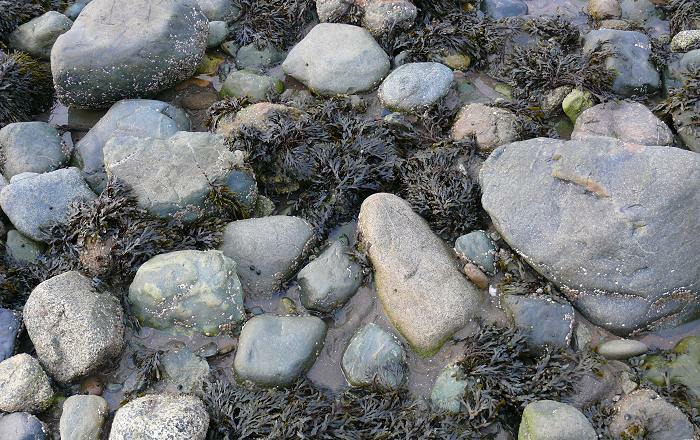 More beach rocks, with the patterns that the tide makes in the sand as it recedes. 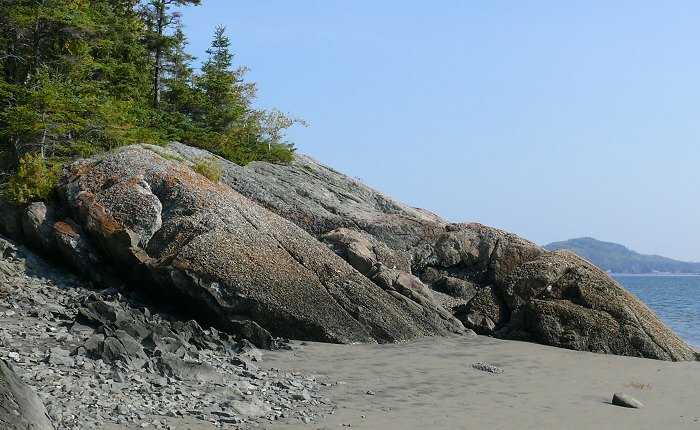 Beach rocks with the tide coming in around them. 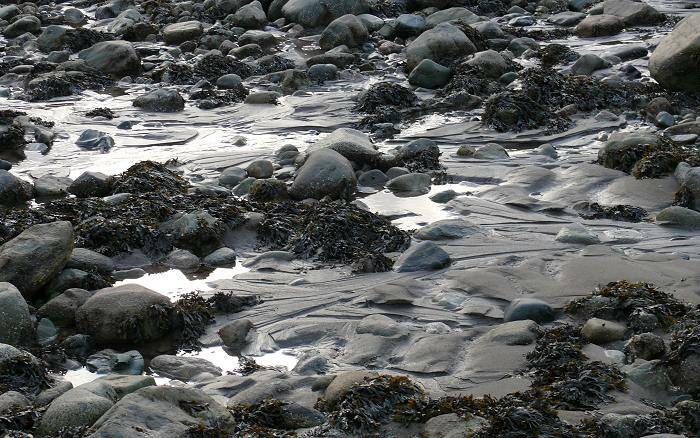 Late in the day – the tide coming in and covering the beach. 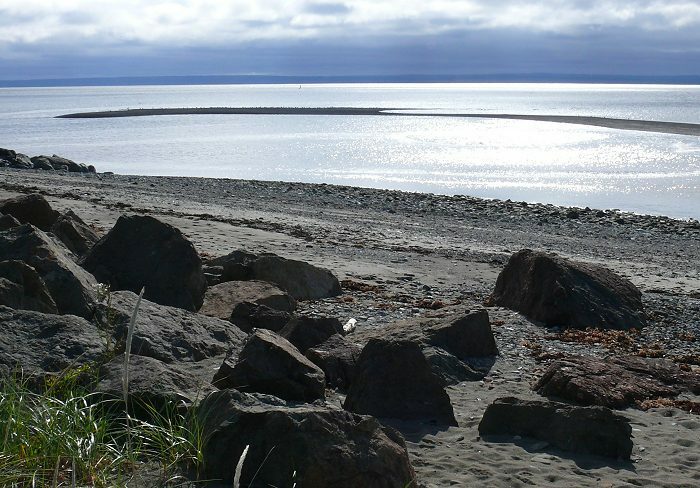 The Alma beach where most of the scallop shells come in. 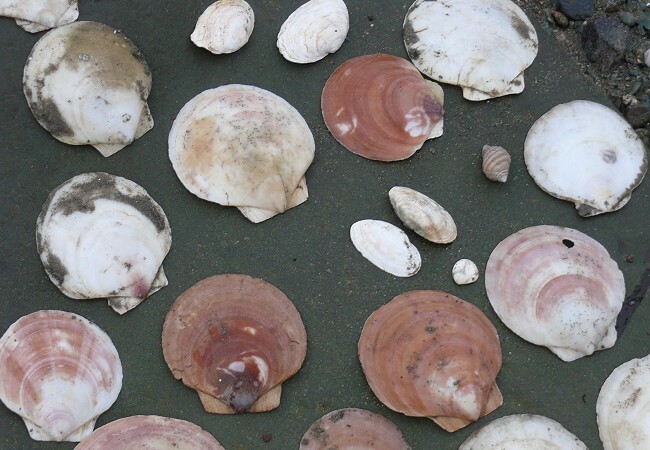 The fishermen shuck them near the harbor, and throw the shells back in the water. 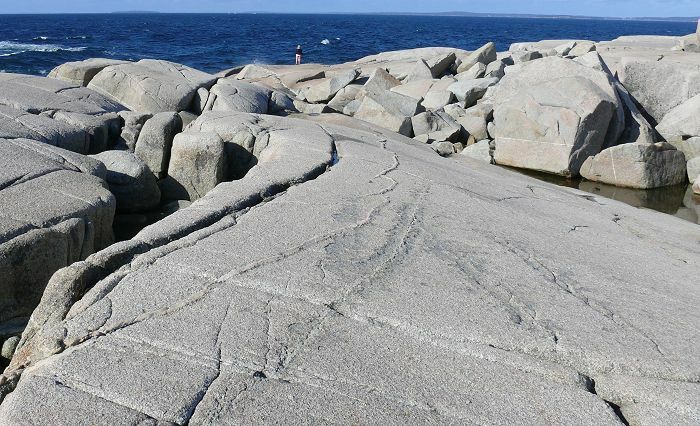 The currents bring them to this beach. 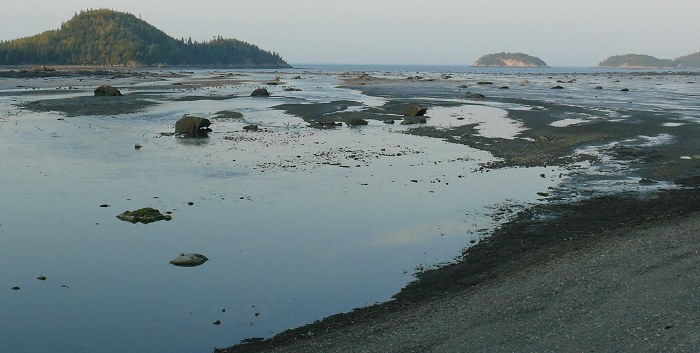 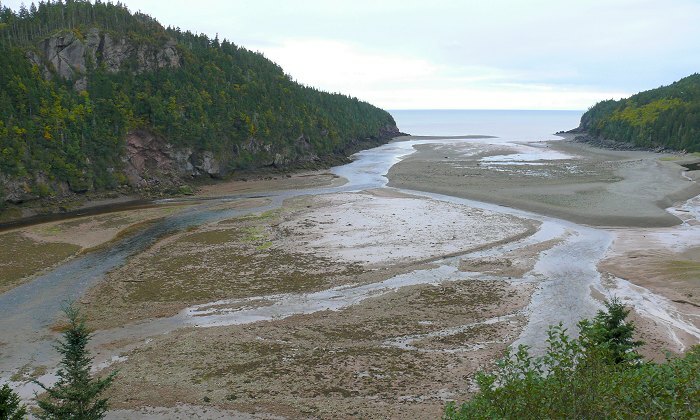 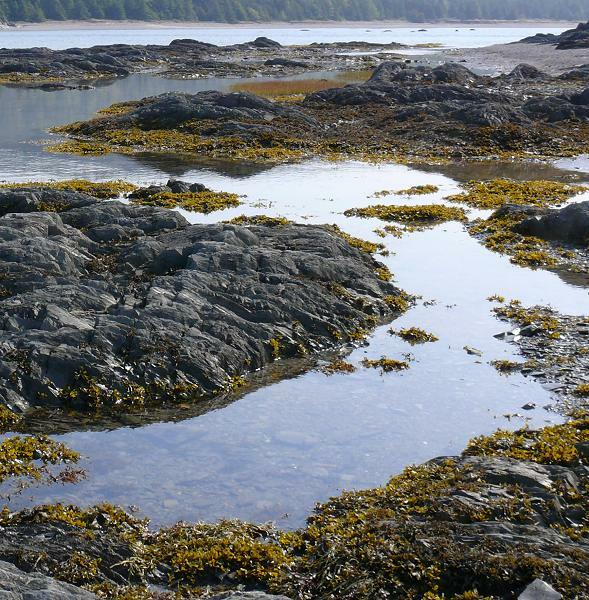 This is a bay in Fundy National Park, with the tide out. 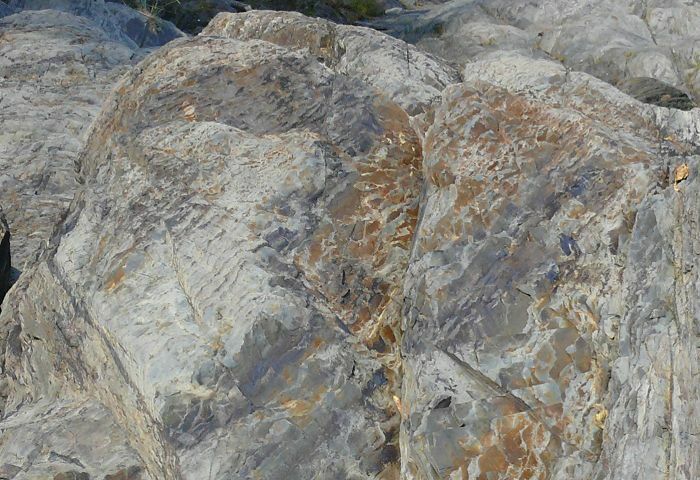 The sandstone is soft and crumbly, and has small rocks embedded in it. 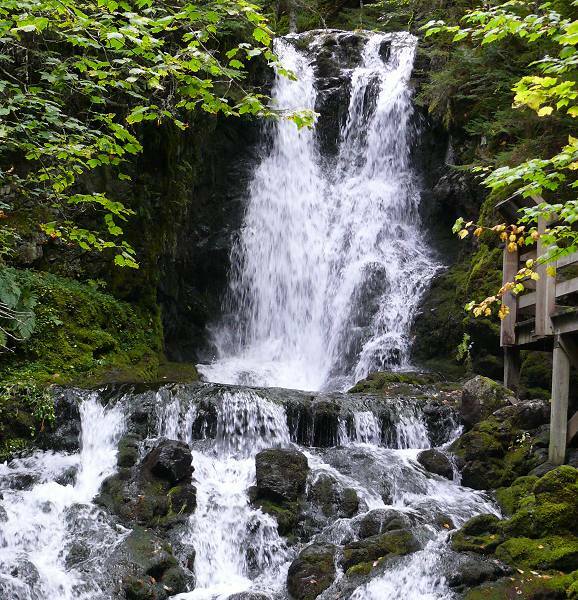 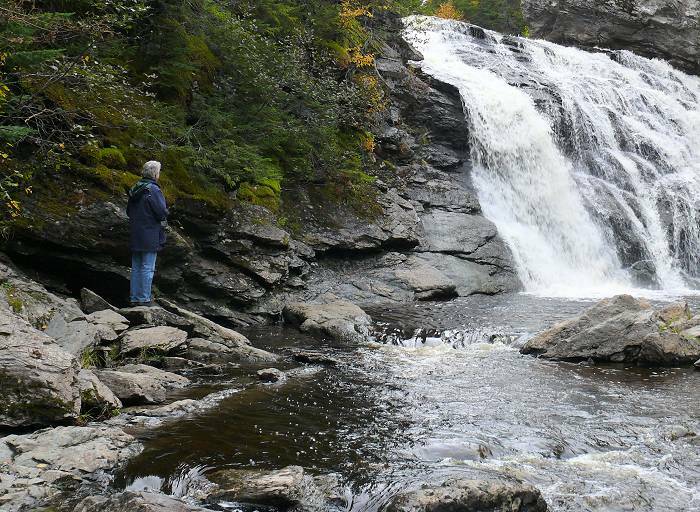 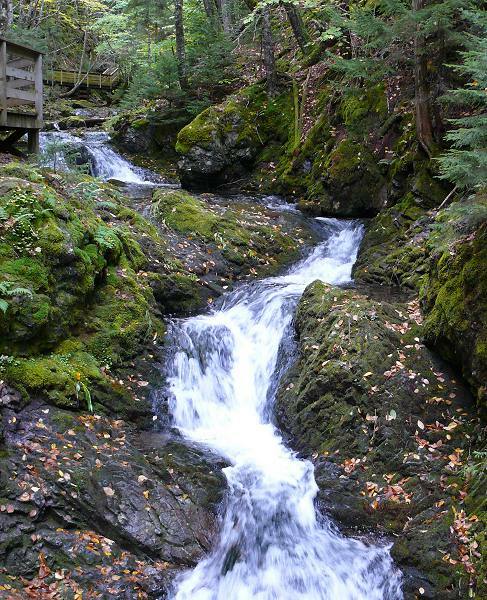 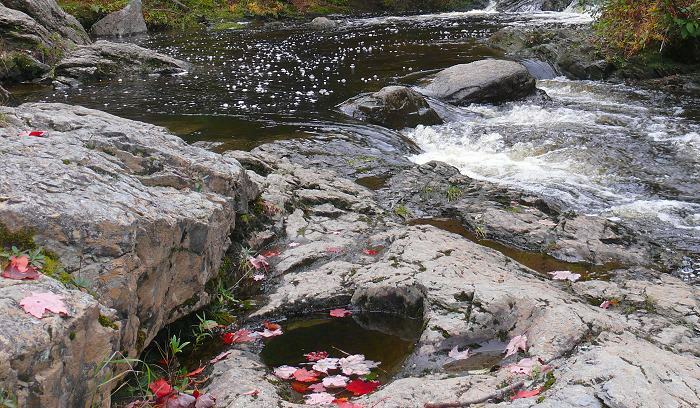 Fundy National Park also has beautiful rocky waterfalls. 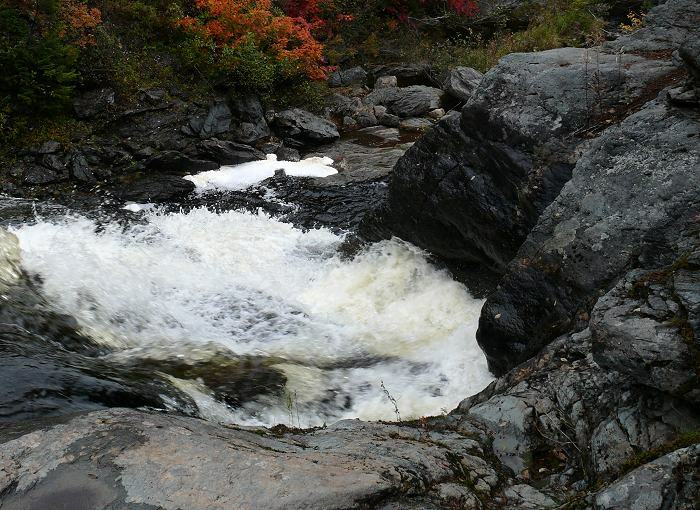 This one is Laverty Falls. 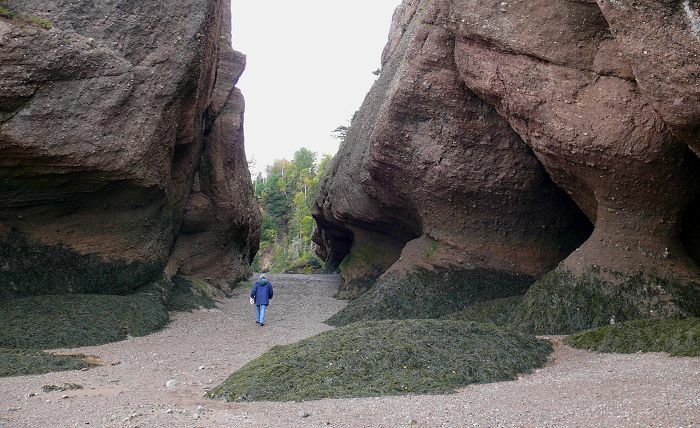 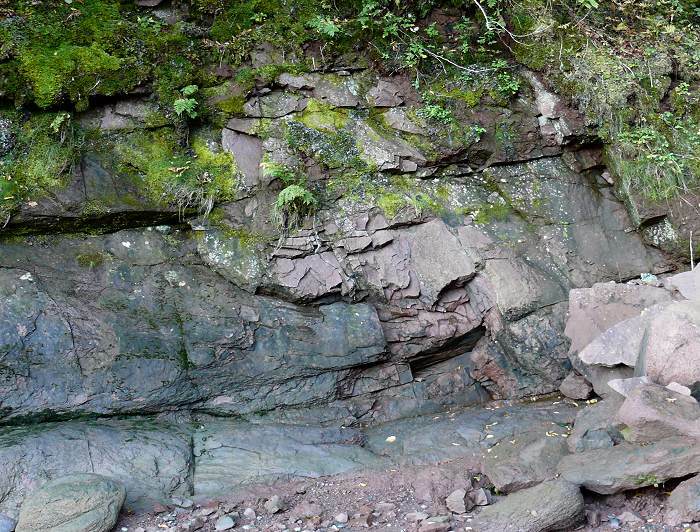 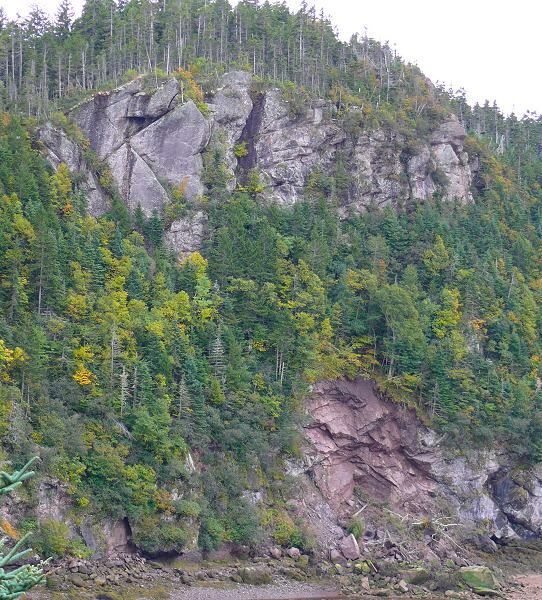 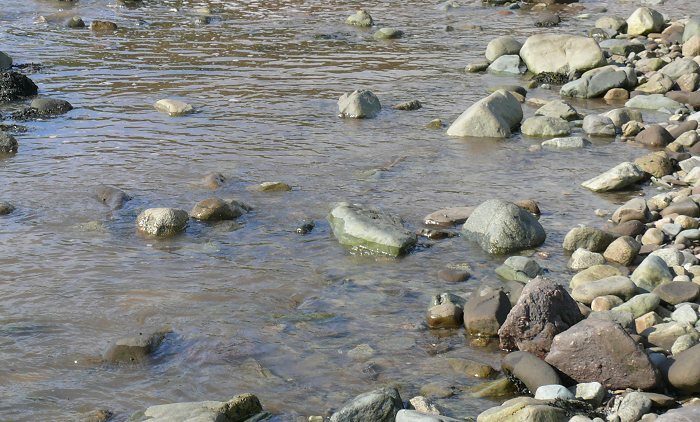 Another good rocky place along the Bay of Fundy, is Hopewell Rocks. 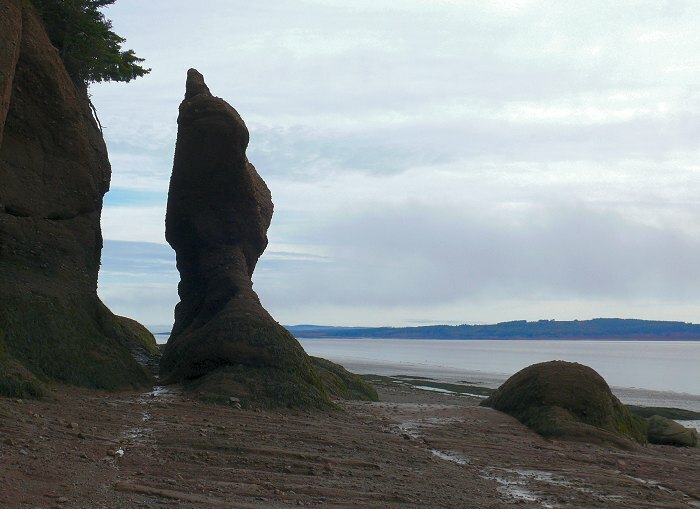 They are huge sandstone rocks that are continually being eroded by the tides. 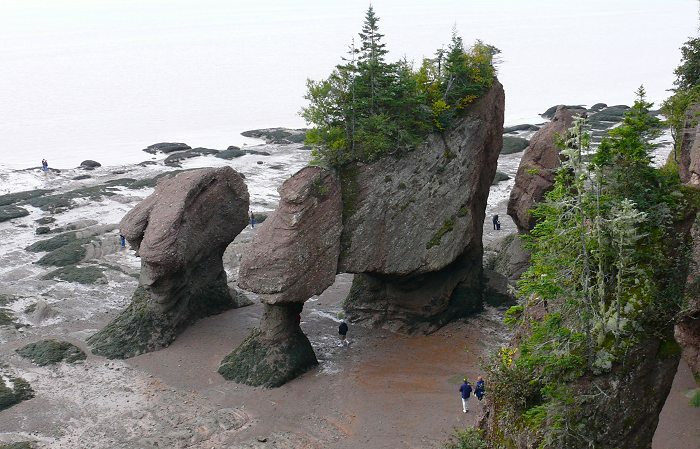 The most famous of the formations are called “Flowerpot Rocks”. 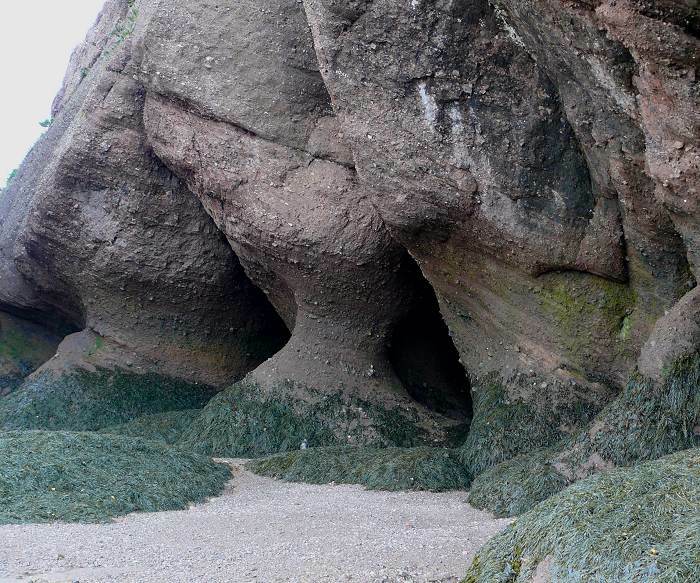 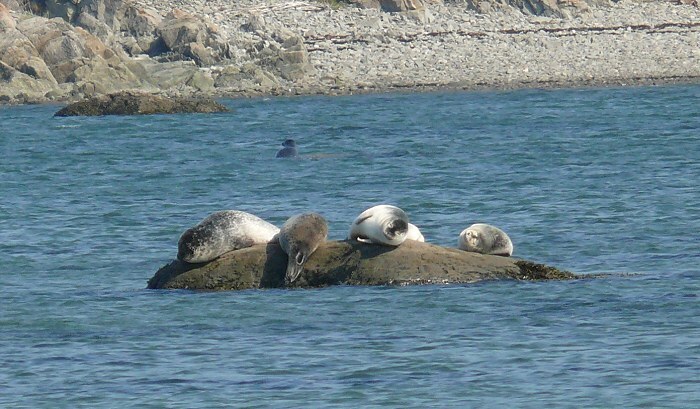 At high tide the water comes up to the wide overhangs – the narrow necks are where they have been eroded by the water. 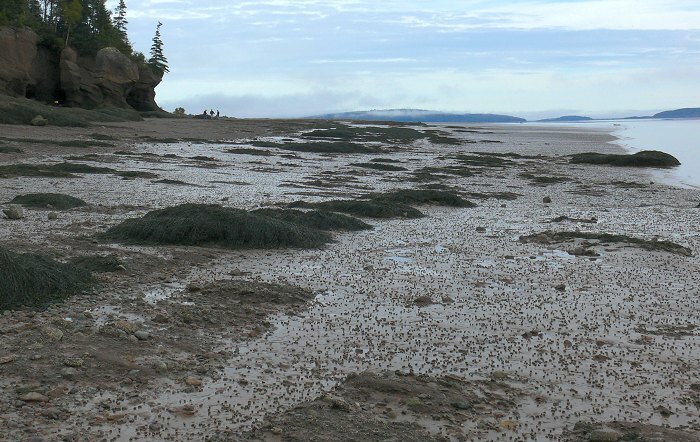 The dark dots on the muddy parts of the shore are snails called Periwinkles (Littorina sp.). 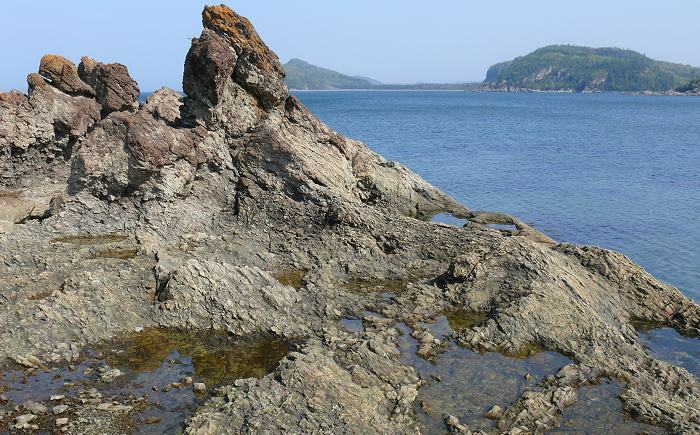 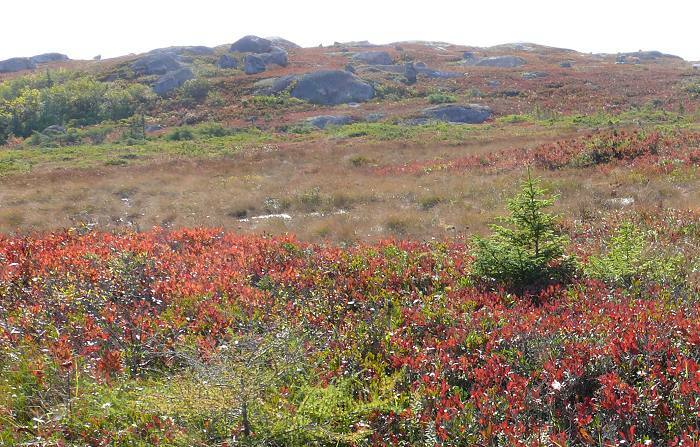 The south coast of Nova Scotia is very different than the Bay of Fundy. 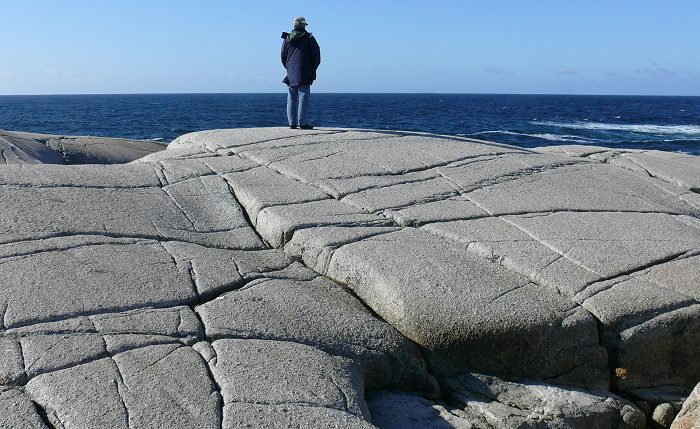 It’s on the Atlantic Ocean, so the waves are higher, and the rocks are very different. 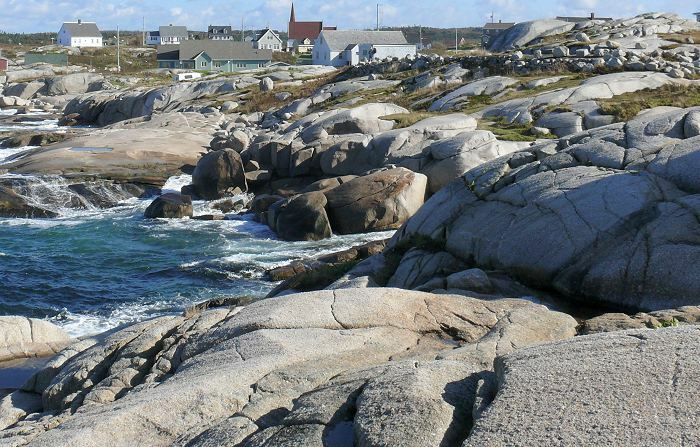 This is Peggy’s Cove – a national historic site but still a working fishing village. 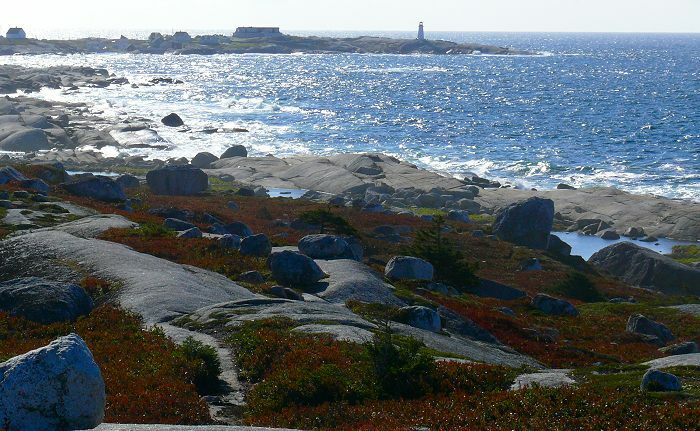 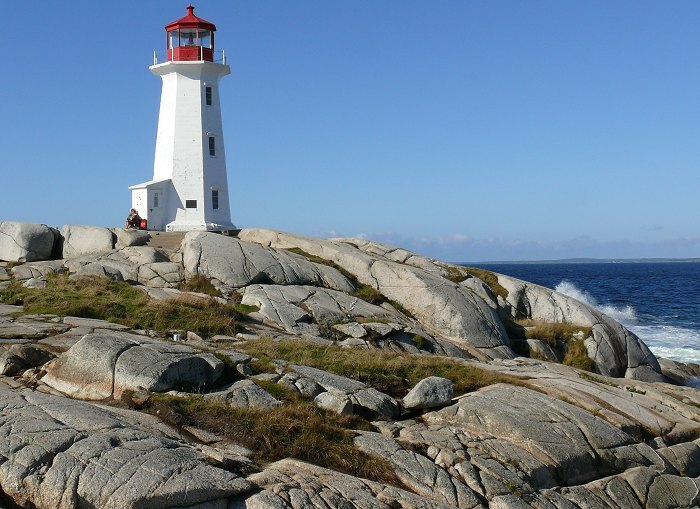 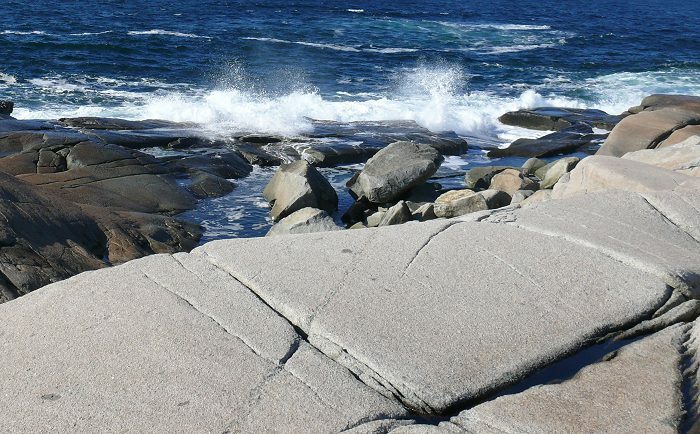 The town of Peggy’s Cove – perched on the rocks. 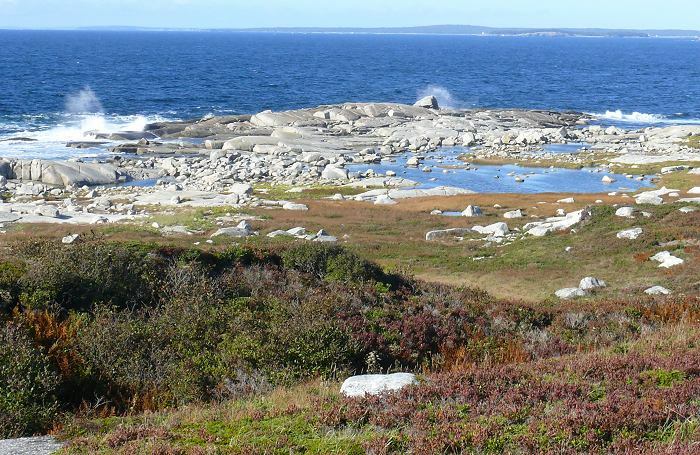 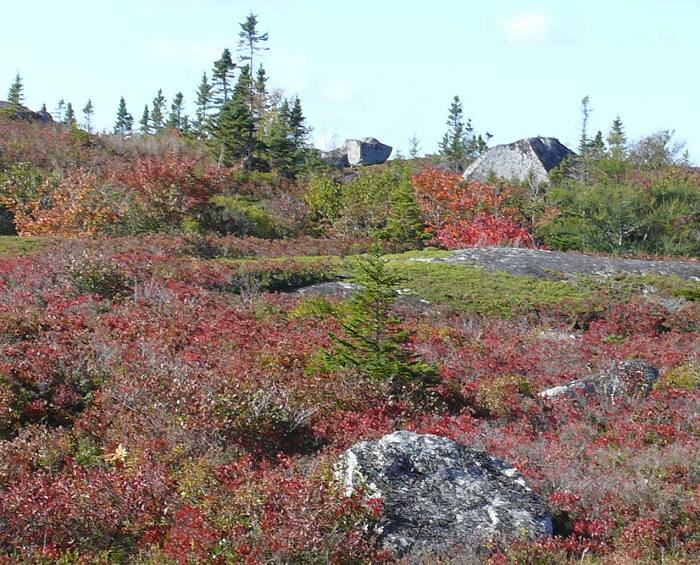 Behind the rocks is a nearly treeless landscape with low scrubby bushes, bogs in the low places – and still plenty of rocks.